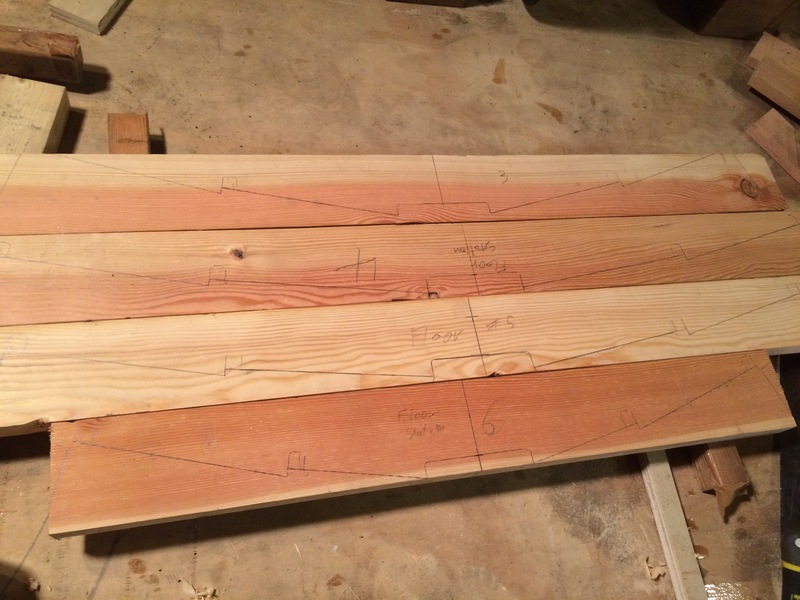 Today I started to scribe all the floor timber dimensions onto the Douglas fir stock that I had planed down to the right width several months ago. Scribing the floor timber at station 2 1/2 was the most challenging as I don’t have a station mold for that from which to trace so I had to pull it from the plans. I will have to wait regardless until the hull is turned over before I can fit it anyway. I was able to use the station molds for most floors. Except the floor at station 2.5 which needed to be pulled from the plans. Today with the help of my children we tackled building a couple shelves to make more room for tools. We also started working on the assembly of the retractable rudder. 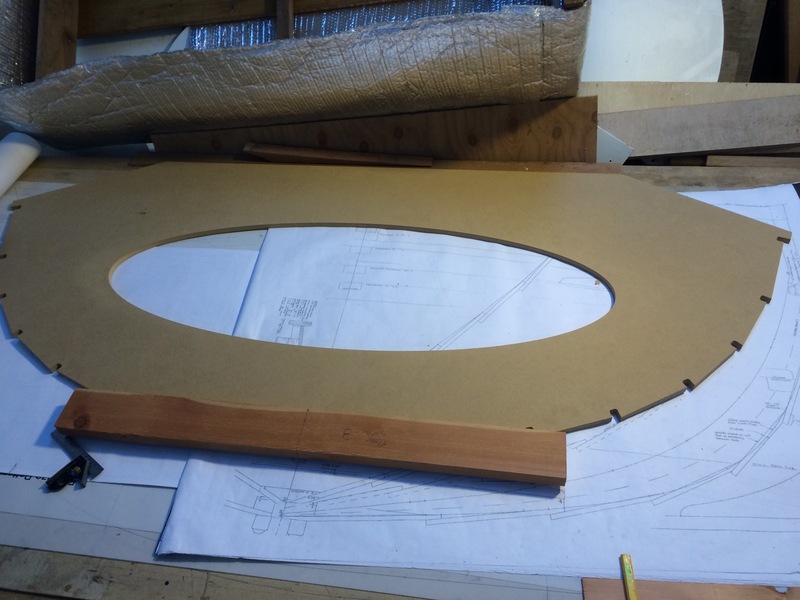 The plans show a little guide or sheave for the line that rudder pulls the rudder blade down. Figuring what to use for this rather unique spot took a little creative thinking.